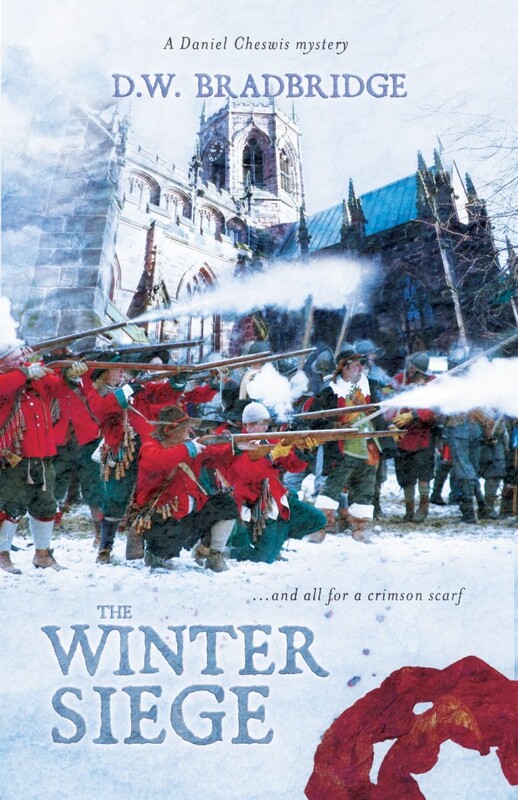 Passages to the Past is honored to be kicking off D.W. Bradbridge's The Winter Siege Virtual Tour with a chance for one of you lucky people to win a copy! To enter to win a copy of The Winter Siege please complete the form below. The giveaway is open to US, UK, and Canadian residents and ends on April 18th. The hero seems to have his hands full. Then, there is also a murder to solve. He has a family and a long lost love come again? I do love Historical Fiction. It sounds like a wonderful book. I love that it has some mystery to it. Thanks for having the giveaway. I love historical fiction and the English Civil War has become a favorite setting. This book sounds wonderful. Thanks for the giveaway. I have read so many wonderful reviews about this book! I followed the last tour and was excited to see it would be coming around again....more chances to win a copy for when I learn how not to sleep (so I can read more books :) )! I'm definitely going to read this one. Free would be nice. :) Thanks for the giveaway. A murder mystery in 1643, how exciting! A murderer on the loose, while the town is under siege, sounds like an exciting plot. I have not read any mysteries set during the English Civil War yet. Thank you for the giveaway.